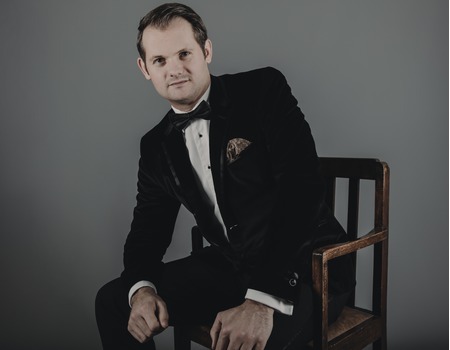 Classical Brit Award-winning singer-pianist turned BBC Radio Wales presenter Ross Leadbeater celebrates his musical favourites from a century of song with a selection of classic tunes from the world of jazz, pop, music theatre and easy listening. From George Gershwin to Andrew Lloyd Webber, Cole Porter to Coldplay, with covers of The Beatles, Ed Sheeran and some original material, there is something for everyone in this not-to-be-missed opportunity to enjoy the massive hits and the forgotten gems. Following the recent release of his debut EP Great British Songbook which topped the iTunes Classical Album Charts, Ross has enjoyed national radio play on BBC Radio 2, attracting mainstream attention from Elaine Paige, Paul O'Grady and Gaby Roslin. Ross shot to fame in 2008 with Classical Brit Award-winning group Only Men Aloud, who released two albums with Decca Records. They achieved worldwide record sales of over 300,000 and performed alongside artists such as Shirley Bassey, Katherine Jenkins and Josh Groban. Ross is a regular on BBC Radio and his TV appearances include The Royal Variety Show, Classical Brit Awards and The One Show. Ross will be joined by special guests Leigh Rhianon Coggins and Christina Modestou.